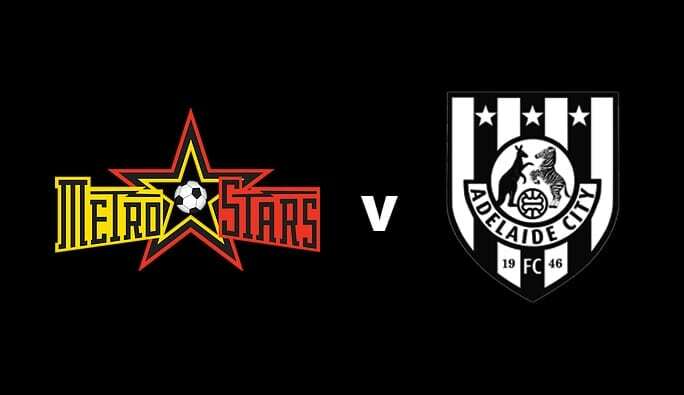 On Saturday, South Australian senior football will see an event unmatched in terms of sheer outcomes this side of the Grand Finals when Adelaide City travel to TK Shutter Reserve to face Metro Stars. There’s a Premiership up for grabs in the WNPL, the Triple M Player of the Year in the NPL, and amazingly, head to head battles for the Golden Boot in all three men’s fixtures! For a day of football not to be missed, come out to TK Shutter Reserve and support the Black and White. See the very best of South Australian football, whether it’s the up and coming stars of tomorrow, the best female players (how many from this match will go on to play for Adelaide United in the upcoming season?) or the outstanding talent on display in the men’s League! At every kick, in every match, there’s something to play for in what will be one of the biggest finishes to the regular season of football this state has ever seen! This match is a straight 1 v 2 shootout for top spot. Simple as that. With only one point separating the two teams, this is a winner take all contest for the Premiership, Adelaide City v Metro United. City’s Daniela Di Bartolo looks to have secured Runner Up in the Golden Boot with 20 goals, and will be up against the winner Metro’s Chrissy Panagaris on the pitch. Adelaide City currently sit in 3rd place on the ladder, a win on Saturday will see us go 2nd on goal difference and pick up the valuable double chance at Grand Final qualification. A draw would see a 3rd place finish, and a loss could be a drop to 4th depending on other results. City’s Anthony Costa and Metro’s Christian Esposito go into this last round equal on goals for the season at 17 apiece. This will be a head to head clash live on the day for this prestigious award. Adelaide City Captain Matthew Halliday sits equal top of the points tally alongside Adelaide Olympic’s Andrea Dallera, it will be a close finish decided on the last round final votes. City’s Domenic Yuel looks to have an unassailable lead heading into the last round with 21 goals, but again this will be a head to head clash on the filed with 2nd place Ben head from Metros Stars currently on 14. For Metro Stars, a win in the match will see them take out the Premiership in Reserve Grade. City are assured of making the finals sitting in 6th but clear of challengers. In fourth place, two points behind Metro Stars, City u18’s can finish anywhere from 3rd (with a win) all the way down to 6th – it’s that tight going into the last game of the season. Sebastian Goode from Adelaide City with 27 goals leads three pursuers on 26, including Metro Stars’ Mpoyi Mutanda – so it will be another head to head battle for the Golden Boot.